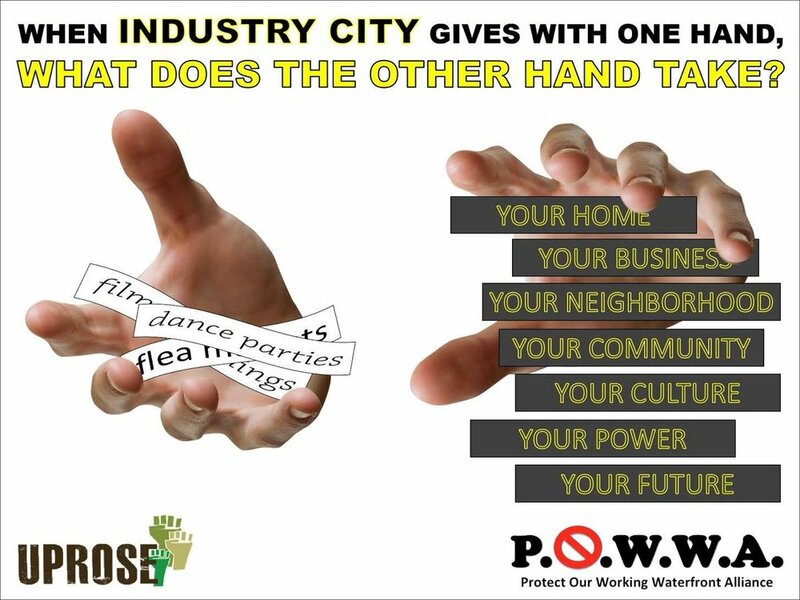 Protect Our Working Waterfront Alliance (POWWA) is a broad coalition of residents, businesses, labor, housing advocates, faith leaders, and others. 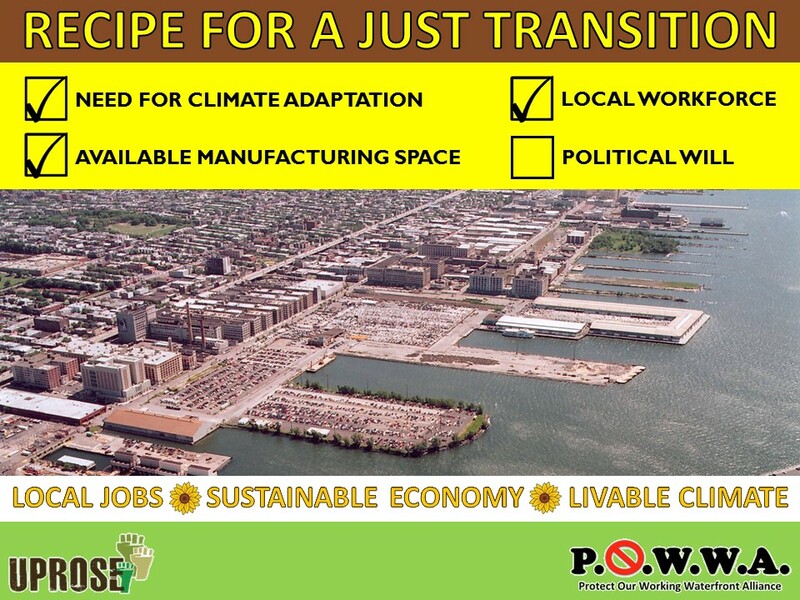 All are committed to protecting the industrial character of the Sunset Park waterfront to: protect and expand career-track manufacturing jobs, protect working class residents from displacement, and develop for climate resilience. 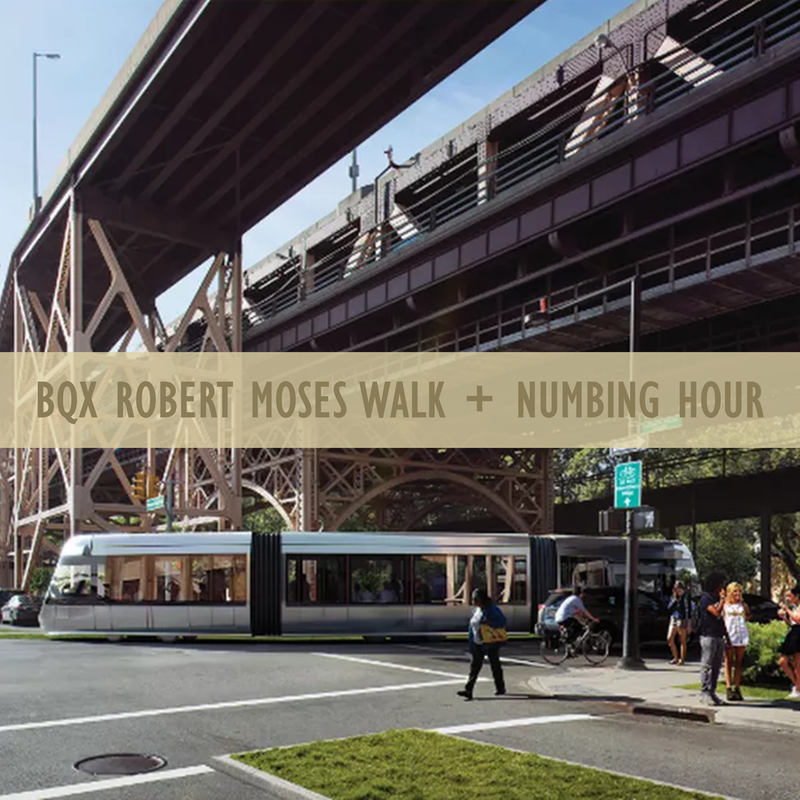 The BQX is a novelty project of several powerful real estate interests along the Brooklyn/Queens waterfront. 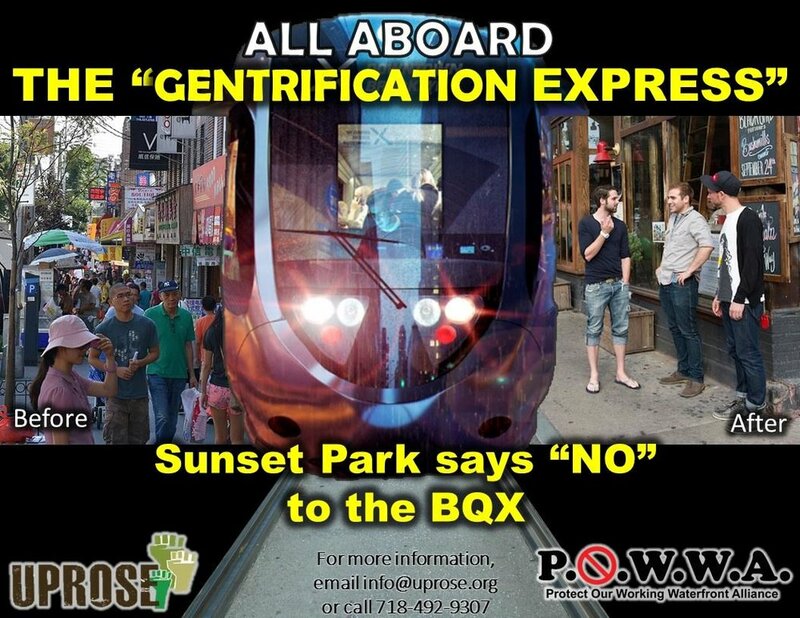 Together, they make up the so-called Friends of the BQX. 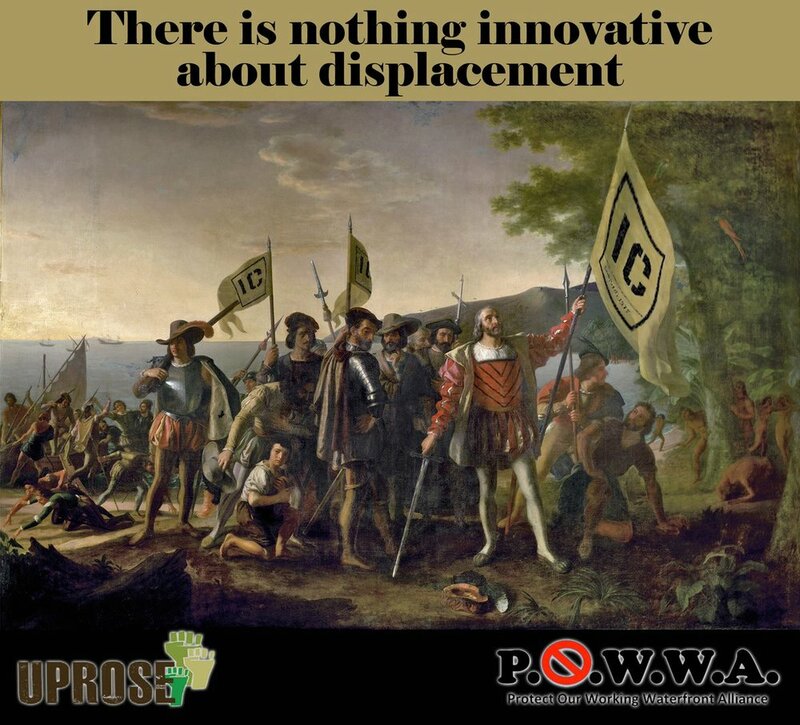 While their public relations team emphasizes the public housing along the route, they do not highlight the real estate developers’ waterfront properties that are in actuality driving this proposal. 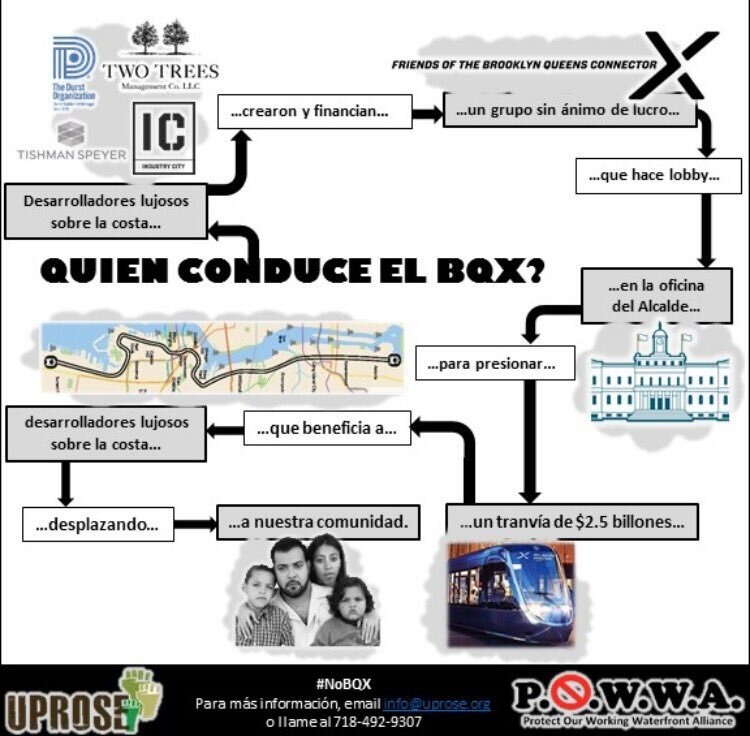 The PR team does also not highlight how the project is proposed to be funded: by inflating real estate values along the route and then taxing them. What this means is the guaranteed displacement of low- and working-class residents, mom-and-pop shops, and blue-collar industrial businesses. Moreover, there is no guarantee that BQX riders would be able to transfer for free to MTA subway and bus lines. In essence, this is transportation for the privileged at the expense of the poor. There are city government staffers privately referring to this proposal as the GX, or Gentrification Express.